If you followed my previous post Palo Alto PA-220 Initial Configuration - Micro USB if you issue the following command from the operational prompt show interface management you can see how the RJ-45 MGT port on the front of the PA-220 is configured. By default the management port is configured with a 192.168.1.1/24 IP address. The quick start guide also references this. 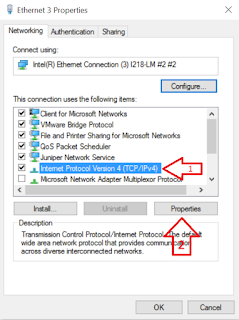 You will need to configure the network interface card on your management workstation to be on this network for connectivity to the MGT port on the front of the firewall. 192.168.1.2-192.168.1.254 are valid IP addresses to use on your workstation. 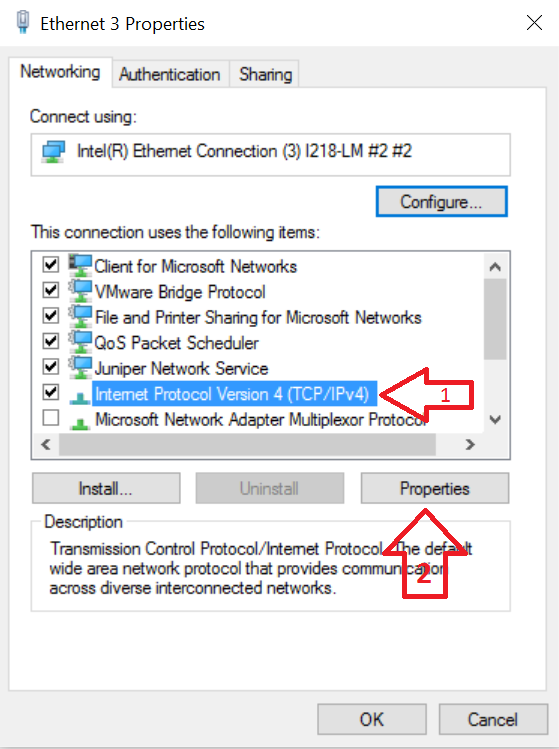 Below are screenshots from a Windows 10 workstation showing the setting of an IPv4 address. 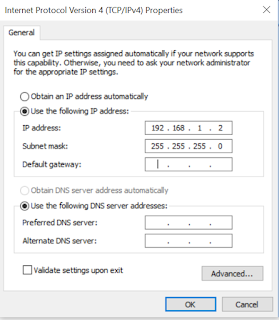 For the network card to be configured, click on the above to set an IPv4 address. 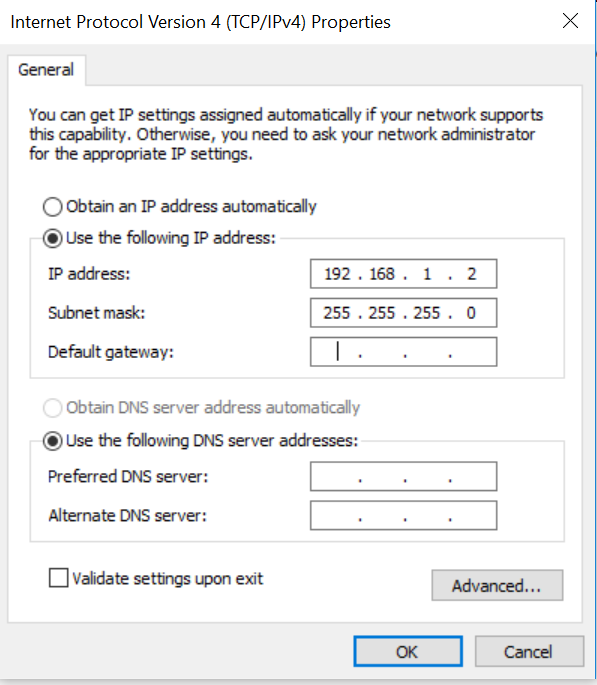 Assign an IP address on the same network as the MGT (management port of the firewall.) Click ok and close. The firewall comes pre-packaged with an RJ-45 cable, connect this to your management workstation and the MGT port on the firewall. In your web browser, type in the address of the MGT port https://192.168.1.1, you will most likely get a certificate error. Certificate error browsing to web interface of PA-220. If you accept the certificate warning you should see a similar login form as pictured below. Administrative login page for the firewall. Login with admin/admin the default credentials for the firewall. You will be warned each time you login that the device is setup with default credentials, and you need to change them. Go ahead and say ok. You may also see a message showing you all of the new features within PanOS. From within the web interface, you can assign IP addresses to interfaces, change the default credentials, set firewall policy, etc.